IMAGEQUEST: Universal History Archive/Universal Images Group | "Were YOU there then?" 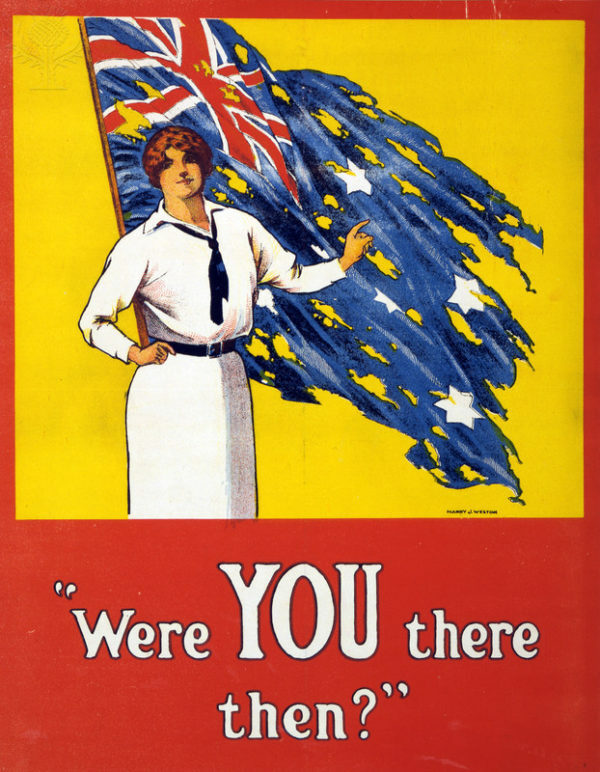 Australian wartime poster. Propaganda: the spreading of information in order to influence public opinion and to manipulate other people’s beliefs. 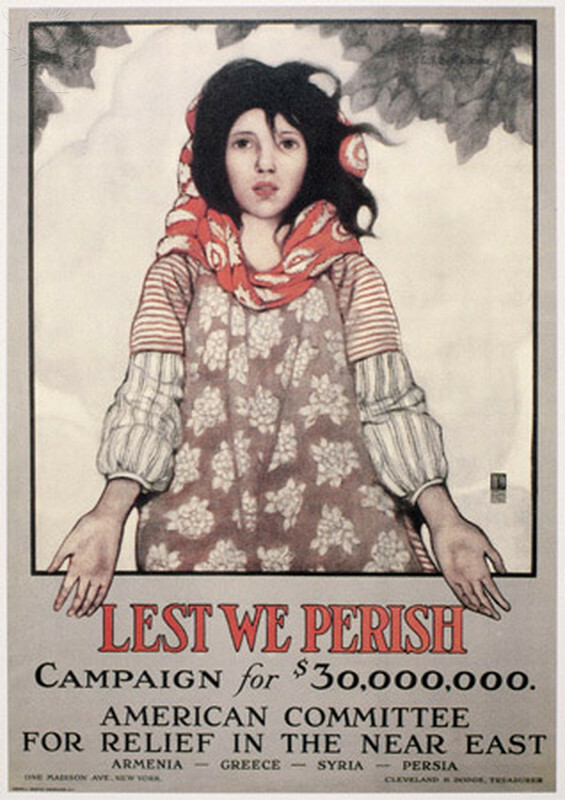 During World War I and II, in order to raise the levels of patriotism and support for the war effort, governments engaged in the dissemination of propaganda, such as posters, war bond rallies, songs, stage productions, radio programs and movies in order to shape the public's opinion of the war. When carefully analysed in their historical context, wartime posters can be insightful primary sources that shed light on media bias, communication and the events that led to their creation. The following posters are a small sample from the ImageQuest collection. Get access to the full archive and millions of rights-cleared educational images with a school-wide subscription. Poster by Ethel Franklin Betts Bains, 1917, for the American Committee for Relief in the Near East, appealing for help for deported Armenian and Greek Orthodox Christian refugees in the Ottoman Empire during World War I. 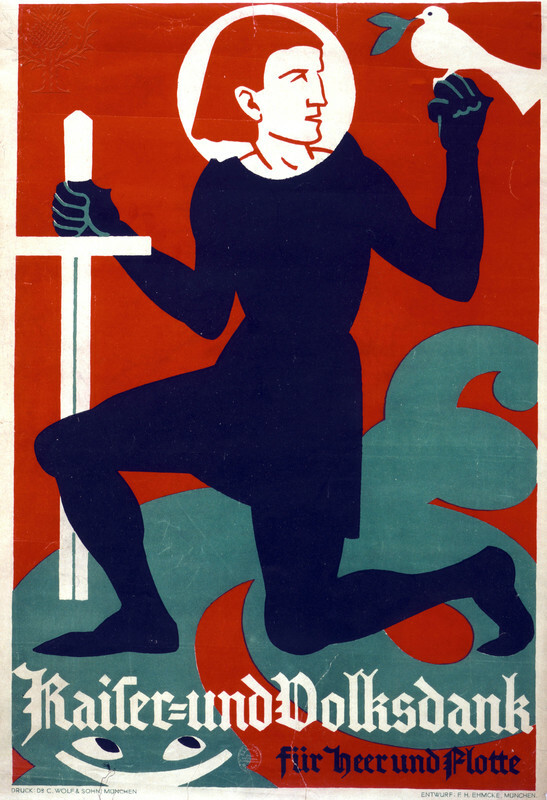 This American propaganda poster is illustrated by L. N. Britton in 1917. It reflects the food shortages and rationing that were common during wartime. 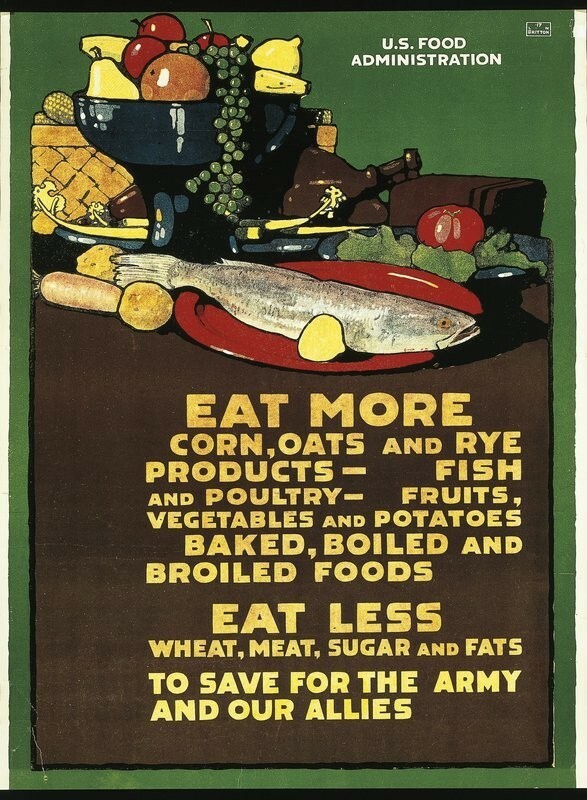 During World War I, the US Food Administration urged greater production of food and taught the civilian population to go without sugar, wheat flour, meats, and fats. These foods were shipped overseas. 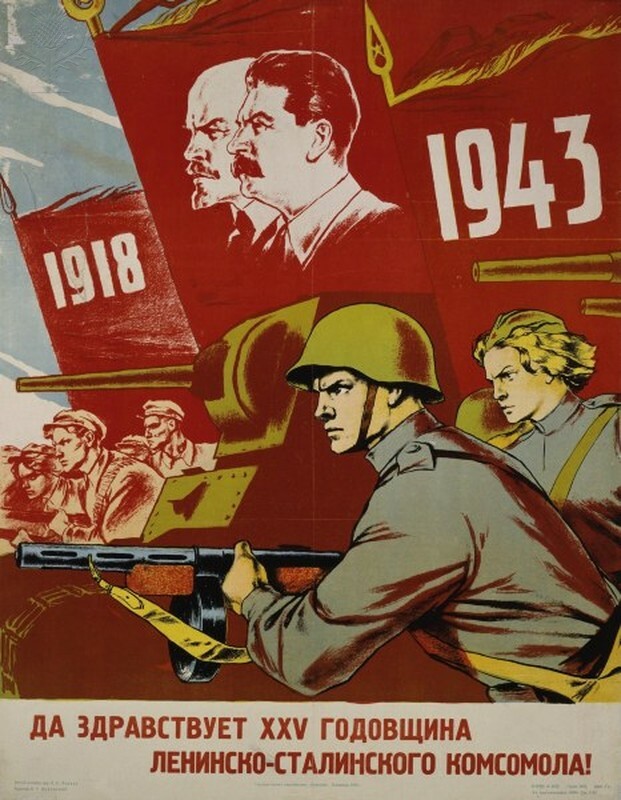 Russian Communist poster from World War II, USSR, 1943. What stylistic differences can you see between this poster and the one below? American poster showing a woman working in an aircraft factory, 1943. 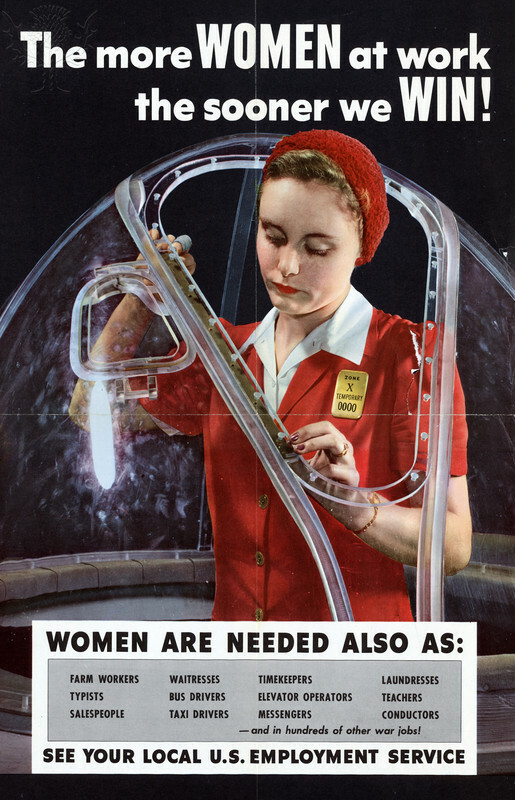 This was a form of female employment propaganda encouraging women to fill the manufacturing and professional roles that were vacated by men during the war. World War II did open employment opportunities for women - from working in factories (“Rosie the Riveter” became an American icon) to playing professional baseball — but these doors of opportunity were largely closed after the war, when women routinely lost their jobs to men discharged from military service. World War I German poster (1916). The central figure reminiscent of a Teutonic knight kneels with sword in hand. A dove of peace with an olive sprig in its beak rests on the knight's fist. An Australian poster from 1916. A woman stands in front of tattered Australian flag asking the question 'Were YOU there then?'. The poster was created after the Battle of Fromelles on the Western Front. Australia suffered 5,533 casualties. What emotion is the poster trying to instigate in the viewer? Why do you think the artist used a female subject to ask the question? Search and download 3 million rights-cleared images from the world's best collections. Get started free.